Bike is fine. Nothing's broken. Pretty much have all of the customizations I have on my '16 RT that I want (save for an integrated laser/radar detector and laser jamming system). garr2 and LIRider like this. Well, I simply have nothing to say about that. One(1) more and you will have 400 . . .
That is nothing to sneeze at! Antibody here from Long Island who like to ride? I was going to follow this thread, but since my bike 2014 is great... she has no issues, no problems I think I won't. The link to my USB Stick works as it should. Link from my Nav 5 is perfect. Battery is 4 years old and perfect too. Starts at the mere suggestion. Radio AM/FM perfect. New tires (Pirelli Angel GT's) are really sweet. I will echo Hopz. I have the music stick working, Nav VI talking to the helmet com, got new tires on last week. My new-to-me 2014 R1200RT is ready for its first long adventure. And there is six inches of snow in west Michigan. In TN, 6" may as well be a new ice age. I solved my radio issues by removing the speakers outright and used those speaker wells as extra storage. Six inches is usually a light dusting in lake effect West Michigan. This happens to be wet, heavy, and slippery. I was glad I had not gotten around to removing the snow tires from the cars yet. The BMW will stay in the garage a day or two. I am also considering removing the speakers for storage space. Did you also remove the amplifier under the rear seat? I could see putting a waterproof storage box where the amp currently lives. I left the amp in-place; not sure if it's needed for anything else or if the system will go bonkers without it (i.e., give out a bunch of warnings on the dash). I already see some errors when I run a scan with a 911 telling me something about the speakers not working or what not. 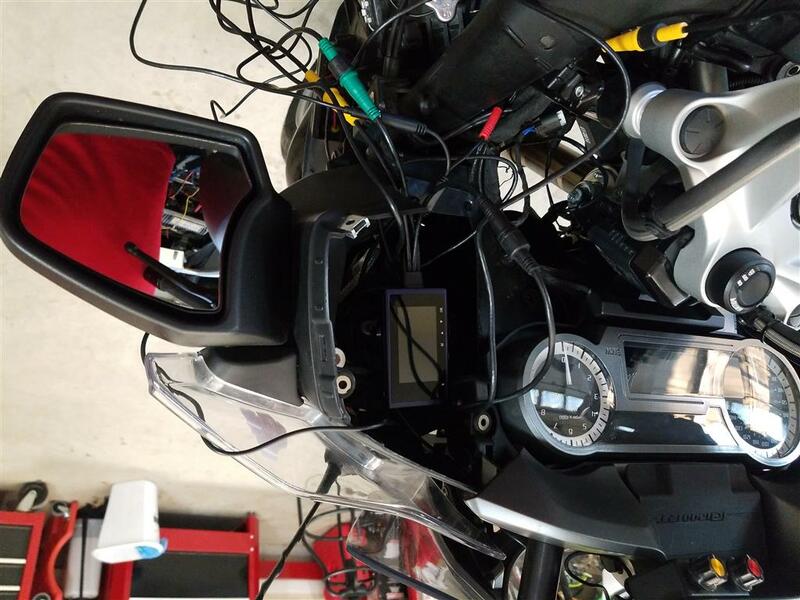 I have a HaloCam M1 dashcam on my bike and I have installed the DVR unit inside the right stowage bin. 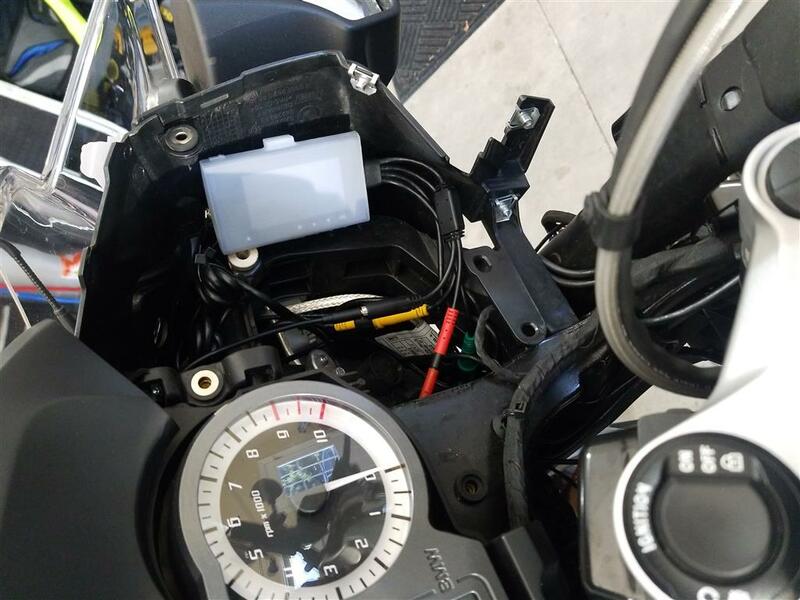 I removed the wiring from the bin, covered the connectors, and ran the wiring back towards the front of the bike. 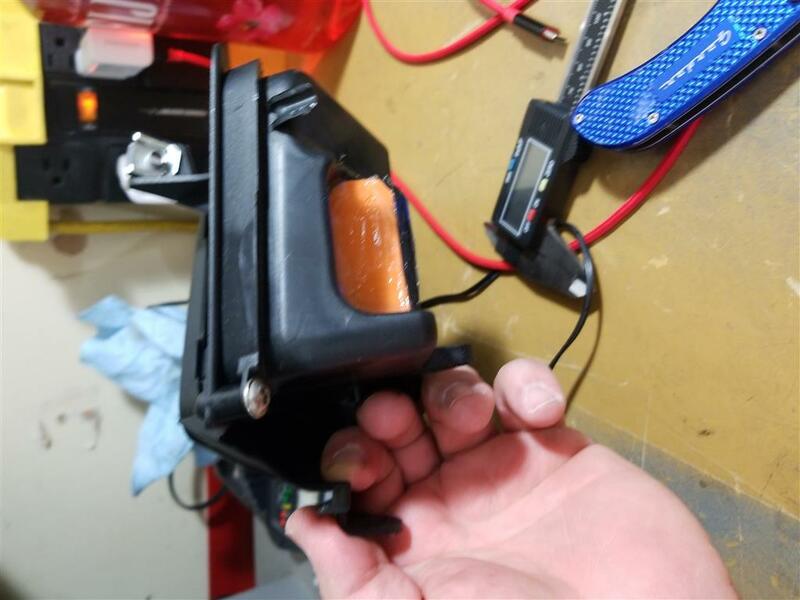 The DVR isn't waterproof but has a silicone sleeve that helps protect it a bit. So far, in several rides with some considerable rain, the DVR has never gotten wet. Oh dammit...now this thread HAS BECOME SOMETHING! The like button doesn't work on these pages. It just jumps to the top of the page when I click it. A question for the board philosophers - Is it possible to hijack a thread about nothing, or is nothing something rendering a hijack possible? How much dirt can be removed from a hole in the ground? Since this is a thread about "nothing", I have "nothing" to add! Well...the originator of this thread has elevated (slightly) his esteem, in my view, by acknowledging he has posted a "thread about nothing!" I belong to several forums and have seen many threads about nothing and the person posting clueless that it was a thread about nothing. It’s a Seinfeld Thread - not that there’s anything wrong with that.